Sitting as deep and still as you can, in the peaceful light of your heart, allows you to access a great deal of divine wisdom and understanding about the purpose of your life. Greetings dear ones! 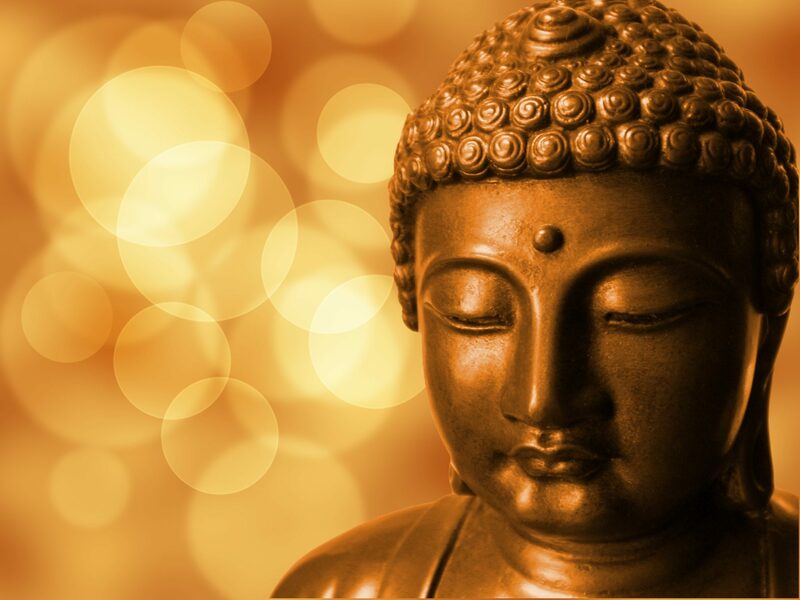 I AM Lord Buddha coming to greet you this day and every day as a brand new day! For it is true that in every moment you are getting closer and closer to your goal, and to the heart of the One. Allow me to sit with thee today and enfold you in my golden love, serenity, and peace. Just sit with me while your mind’s chatter fades and comes to a stop, and all that you feel is love and light. Let go of the apprehensions and worries of this new day, for there is nothing that you are not excited and happy to meet today – good or bad, happy or sad. You do understand what it is to which I am referring? Namely, all the extremes and the in-betweens of the duality of the Third D world. I am giving you this gift of golden serenity which is deeper than just being at peace and accepting everything that comes to your awareness. For being serene and being able to sit as deep and still as you can in the peaceful light of your heart allows you to access a great deal of divine wisdom and understanding about the purpose of your life. At first, you might not be able to see the entire picture clearly, or the rightful place of every event occurring in your life. But your heart will assist you to trust, smile, and let go of everything – good or bad – for everything is all right, the timing is right, and everything is just where it should be for your greatest benefit and growth. Don’t attach yourselves to anything coming to you, but let them go gracefully, after looking and analyzing them briefly, to see the meaning and the messages contained within, and then move on! You have the opportunity to progress at the speed of love with every single thin veil of illusion that you let go of. Sometimes you let go of many illusions in a given day, and there are times when you marvel at the fabric and design of one of them while getting entangled and frustrated by their power over you and over others yet to awaken. There is no rush. Another’s way to arrive home is no better than yours, but there is a graceful and a joyful way to get there. Many of you have chosen to have your lessons taught in unconventional ways, with teachers that are testing and quizzing you without much preliminary course material given except for the feelings that arises within while listening or coming in a close proximity to them. And for the longest time you have resisted and tried to “solve” the problems that have been presented by their mere presence, with the old tools of rationality or conflict, and/or by being nice and sweet. None of those seemed to work, especially as you see them now coming back to you. Isn’t this the truth? You can laugh now with me or you can smile because you see that the issue was always present within. And when you address it properly, with true unconditional love and complete forgiveness for yourselves, then that which is outside yourselves and troubling you in any way softens up and goes away like magic. And if it doesn’t go away immediately, it might be that you are not in complete agreement with what I am saying to thee, and there might be specks of doubt or resentment towards the messenger and the ones that have agreed to be your mirrors and life teachers. So then, you just go deeper and deeper into your heart! You can call on me, you can ask for the golden serenity to enfold thee and to take you under the Bodhi tree to show you the power of unconditional love! Do you see now that, in fact, you are in control of everything that comes to you, and of even more that goes out from your field? Do you now see the power center that you have, and how you always had the free will to direct your energy inside, to let go so that then the light can shine and do the work through you? This is why I am saying to you that this day is a bright new day, for me and you, for now you deeply know the truth of life, the truth of your life! Leaving you with my golden light and profound peace! Farewell.